Come Sunday, it will be that time of year again. The time of writing meet-ups, all-nighters, and frantic pounding at keyboards to meet last minute word quotas. There is something exciting and addictively nerve wracking about joining people across the country and even the globe in getting to that 50k word mark. No pressure, right? I’ve participated in National Novel Writing Month for two or three years now with pretty good success overall (if I do say so myself). Due to my (clearly vast and indisputable) experience, I thought I’d share a few things I’ve learned from participating this glorious tradition. 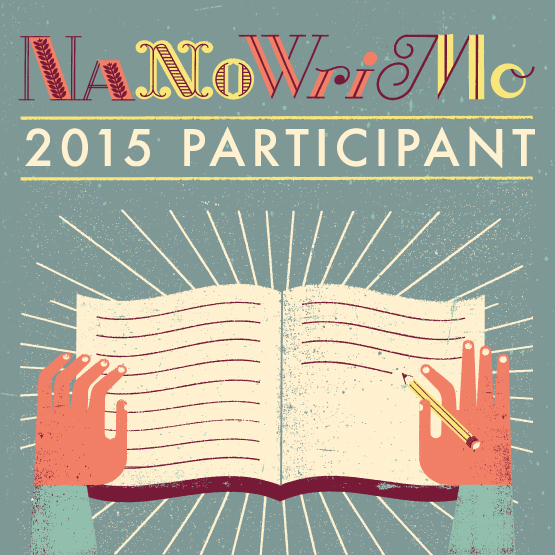 The whole point of NaNo WriMo is to write a draft—a draft. Drafts just need to be done. It’s okay to focus on word count for the next 30 days. Those plot holes, halfway character development, and inconsistencies can wait for now.